Go My Journey Pvt Ltd is a prominent Tour & Travel Agent in New Delhi privileged of serving a large number of esteemed clients. 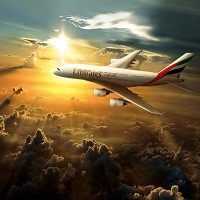 We provide Airline Ticketing Services in order to assist clients with cheap airline tickets. We are associated with some of the leading airline and can assist you in getting quicker tickets. As per your requirements you can choose your seats. We have Airline Ticketing Services for any number of groups, individuals or families. Whether you want an instant ticket or an advanced ticket, we have services for all.